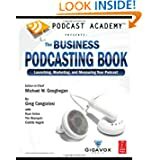 A podcast is a type of digital media consisting of an episodic series of files (either audio or video) subscribed to and downloaded through web syndication. The word is a neologism derived from “broadcast” and “pod” from the success of the iPod and its role in the rising popularity and innovation of web feeds. A list of all the audio or video files currently associated with a given series is maintained centrally on the distributor’s server as a web feed, and the listener or viewer employs special client application software known as a podcatcher that can access this web feed, check it for updates, and download any new files in the series. This process can be automated so that new files are downloaded automatically. Files are stored locally on the user’s computer or other device ready for offline use, giving simple and convenient access to episodic content. In this way it is contrasted to webcasting (Internet streaming). 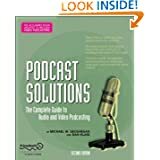 As discussed by Richard Berry, podcasting is both a converged medium bringing together audio, the web and portable media player, and a disruptive technology that has caused some in the radio business to reconsider some established practices and preconceptions about audiences, consumption, production and distribution. This idea of disruptiveness is largely because no one person owns the technology; it is free to listen and create content, which departs from the traditional model of ‘gate-kept’ media and production tools. It is very much a horizontal media form: producers are consumers and consumers become producers and engage in conversations with each other. 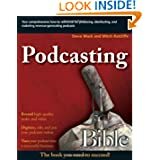 One great thing about podcasting is that you can do it at home with a basic Mac or PC and an inexpensive microphone (which may come with the computer). High-end equipment is nice, to be sure, but many of the best podcasts out there are recorded and edited with basic equipment and widely available software. 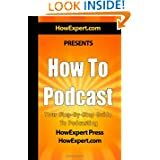 Still, there are several ways to set up a podcast recording “studio,” from using nothing more than a computer with a microphone to having high-end microphones, preamps, digital recorders, and the like in a sound-dampened room. This section examines the equipment you need to get up and running (software is covered a little later on). 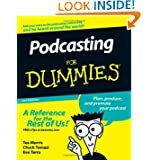 I need to point out that many devices that can make podcasting easier or higher quality, but I cannot cover every one of them in this book. Instead, I examine several key pieces of equipment in each category.